The horses gotta eat. Homeschool thoughts. I have a friend who wants to homeschool, but is also scared of taking that step. I understand that. I have been there. Atlas Educational writes about becoming the “guide” rather than the “teacher”. So many great ideas she has in that arena and her writing challenges us to start thinking about “schooling” differently in all facets. Every post she writes gets my wheels spinning and thinking. I love that blog. 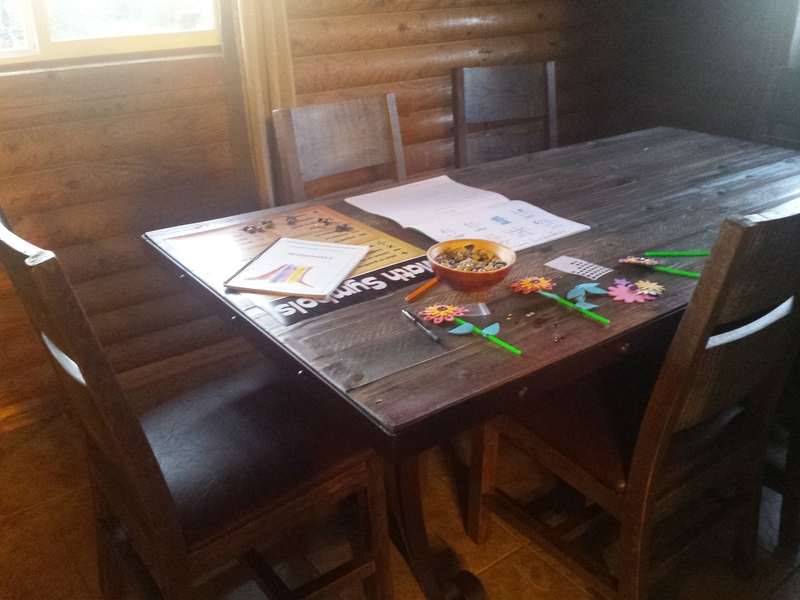 When we first started to homeschool, I was nervous and insecure in some ways. I clung to curriculum. Guides. Rythym. I read. I mean I READ devoured every homeschool, unschool, waldorf, everything-school book I could. I felt if I could gather as much knowledge as possible, we’d be ok.
Then, about a year in, I realized that we …were….ok. And I relaxed. I trusted. I started to break away from the curriculum, the PLAN. I saw my daughter learn. And I saw that she was self-driven. I realized that I needed to be her GUIDE. Not necessarily her “teacher”. The role of teacher can be scary. The role of guide, not so much. When I look back at our homeschooling, I see the times that I have LET GO and gone with where her passion, her interest, her drive takes her –those are the times. The times, that she and I both feel inspired. And then the learning comes naturally. It can be scary. So in moments like that, I just breathe and then something happens… that reminds me that we’re okay and I’m guiding her in this beautiful life and she is excited to learn. Case in point, math scares me. But let’s be real, the horses gotta eat. We have to figure out how many bales of hay we need to order. And how much it will cost. 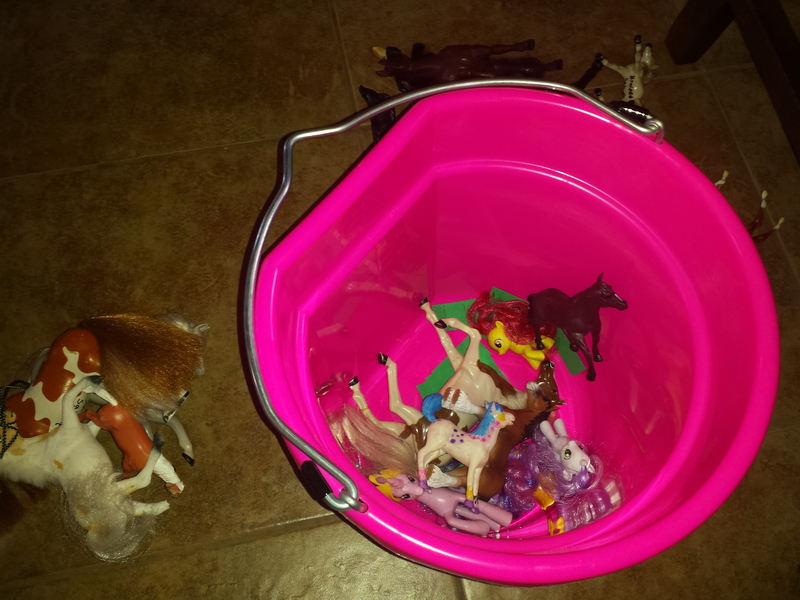 My girl decided that she would pull out her toy horses. She woke up early one morning and took it upon herself to made little cut-out hay bales, put them all in a lovely pink feeding bucket…and we got to work. It ends up not being so scary afterall. Honestly, I think I just follow her lead 🙂 Thank you! Love it! 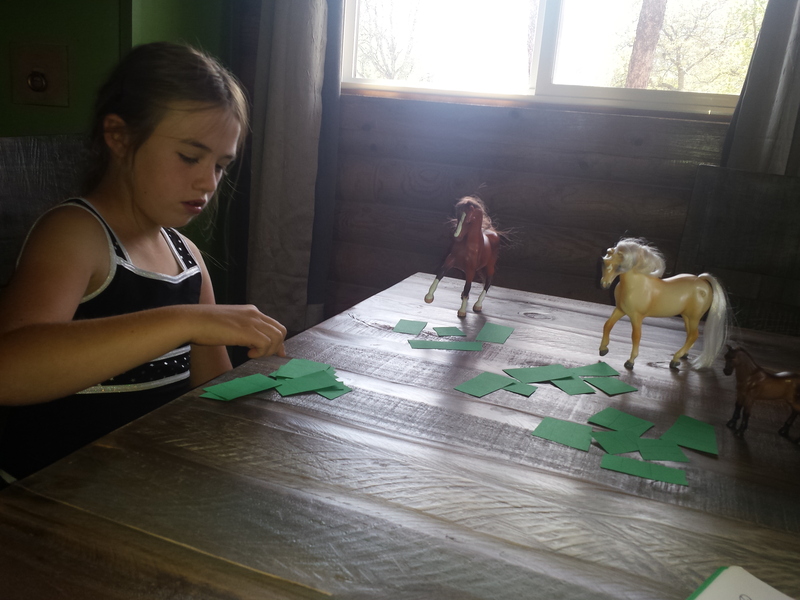 I could have learned to enjoy math if I could have involved my plastic horses this way. Good for you, mom, for allowing your daughter room to take initiative and participate actively in her own learning and problem solving. Sounds like you two have fun together (and may it continue all through the teen years!). A beautiful post and I am a teacher who finds the responsibility of teaching quite scary at times. I think I will rephrase this in my mind as I begin another year and think of guiding as well… makes much more sense to me and allows for hands on learning and a more well rounded approach. Thanks! I really liked that thought of “guide” as well. And, really that’s what we are. Thank you! Beautiful! We unschool, which means we do nothing just have fun. 🙂 Kids are just 4 and 7, but from what I can tell they are not behind their schooled friends, and most importantly, we are all loving it, we do not have places to rush, and kids are doing great when it comes to social situations and problem solving. I notice a sad trend of children being withdrawn and not playful these days, not sure if that is consequences of schools or not. Thanks for reference to Atlas, I will check it out. Best of luck to you and your girl! Absolutely. I totally hear everything you’re saying. We are leaning more and more towards full-on “unschooling”. It’s moments like this one, exactly, that remind me that learning just HAPPENS naturally and we’re all going to be okay. Love this post. It is so easy to get wrapped up in what you should be doing when homeschooling that we often forget to stop and just listen, and watch our children. They are learning all the time, and we just need to give them the time and space to let it happen. You’re right, I really do feel like when I open up that time and space, it just happens easily and feels right. When I am wrapped up in the “schedule”, there is no passion and fire for the learning. It sounds like a great way to do maths – and you’ve definitely got what you need for the hands on approach! Trusting is just not easy for human beings these days! And especially when it comes to our children 😉 But it seems to you are proving to yourselves (and encouraging us!) that we are completely able to do it, and to trust our children to ask for what they need, spoken and unspoken. I still do those hay bail calculations and I tell you what, it’s far more useful than the quadratic equation! Oh, yes. We are getting ready to set up a round pen (training pen for horses and therapy)….I discovered that I had NO idea how to do a circumference. Wow. Well, I figured it out with the help of the web and then shared it with my daughter who learned it as well. She got it. Because it was meaningful. It’s really amazing. Trusting. It IS hard for us humans!